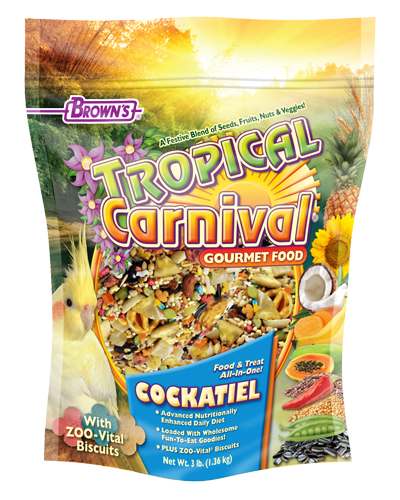 Brown's Tropical Carnival® Gourmet Cockatiel Food - 3 lb. 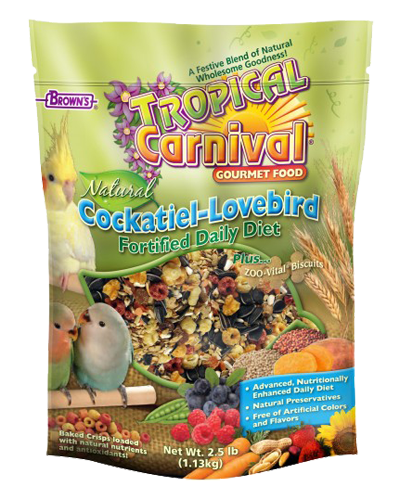 Brown's Tropical Carnival® Natural Cockatiel-Lovebird Diet - 2.5 lb. 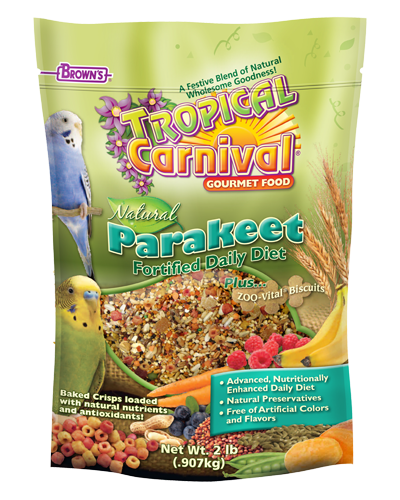 Brown's Tropical Carnival® Natural Parakeet Fortified Daily Diet - 2 lb. 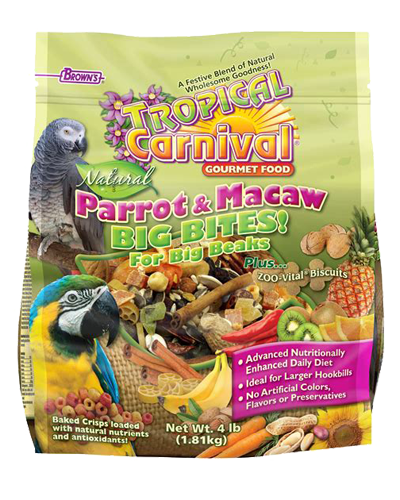 Brown's Tropical Carnival® Natural Parrot & Macaw Fortified Daily Diet with Big Bites - 4 lb. 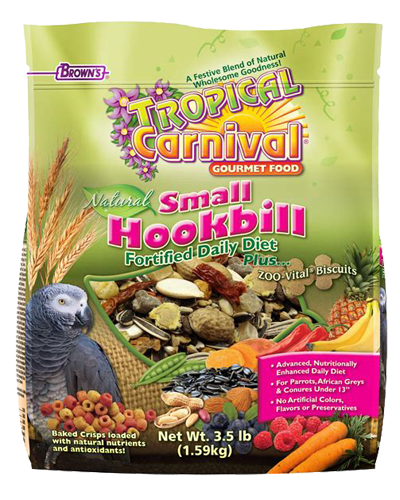 Brown's Tropical Carnival® Natural Small Hookbill Fortified Daily Diet - 3.5 lb. 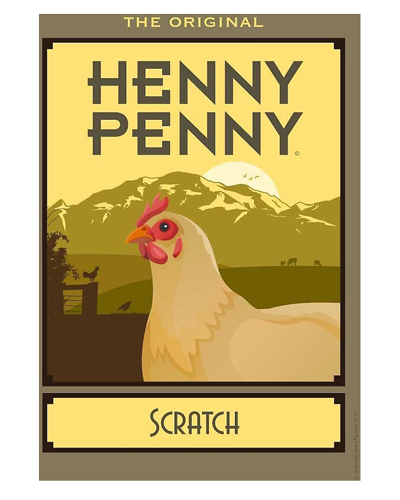 Henny Penny Scratch Chicken Food - 2 lb. 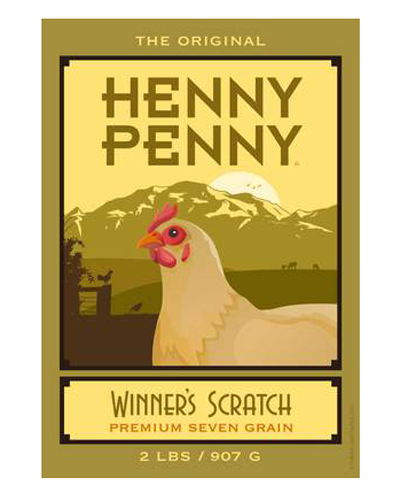 Henny Penny Winner's Scratch Premium Seven Grain - 2 lb. 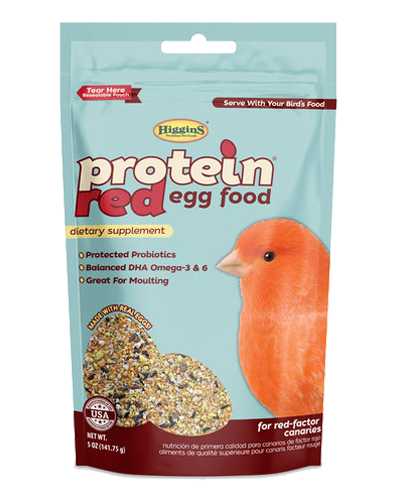 Higgins Protein Red Egg Food - 5 oz. 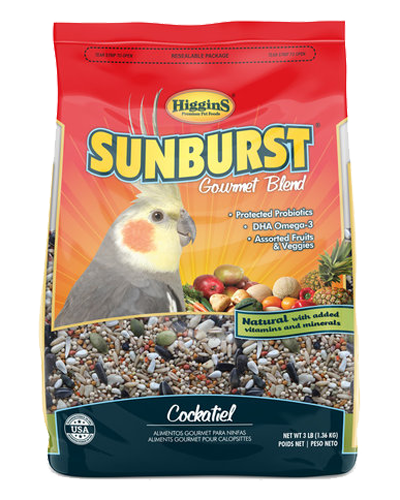 Higgins Sunburst Gourmet Blend Cockatiel - 3 lb. 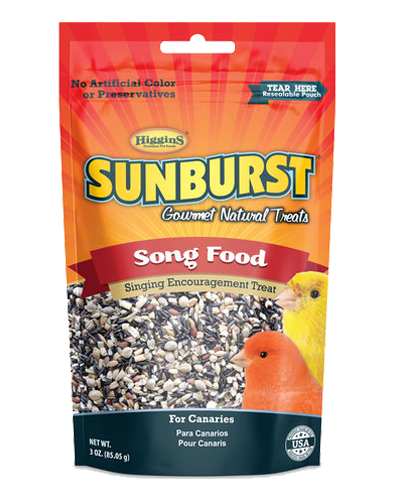 Higgins Sunburst Song Food -3 oz. 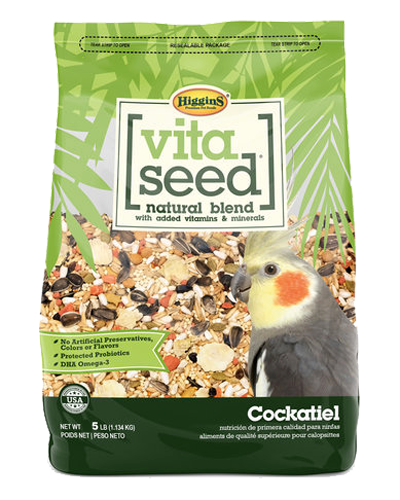 Higgins Vita Seed for Cockatiels - 5 lb. 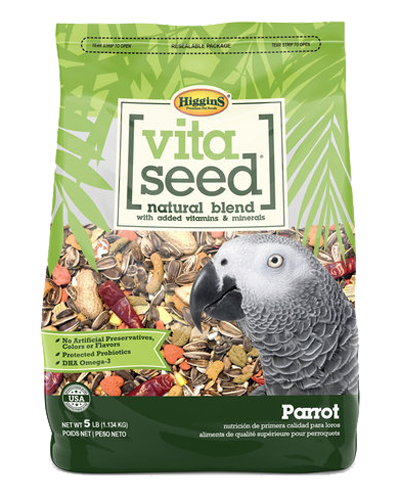 Higgins Vita Seed Parrot - 5 lb. 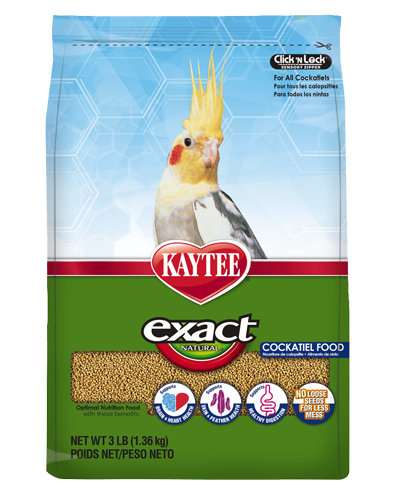 Kaytee Exact Natural Cockatiel Food - 3 lb. 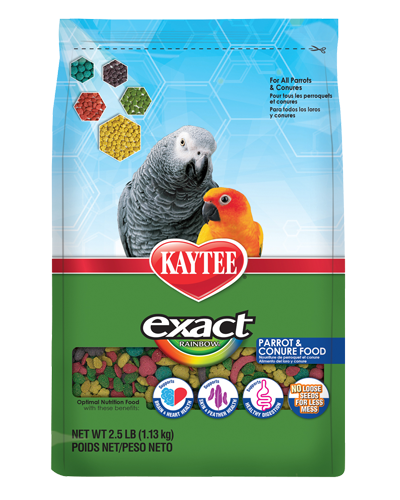 Kaytee Exact Rainbow Parrot and Conure Food - 2.5 lb. 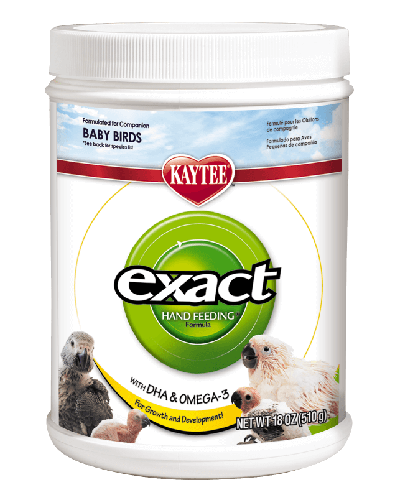 Kaytee Exacthand Feeding for Baby Birds Formula - 18 oz. 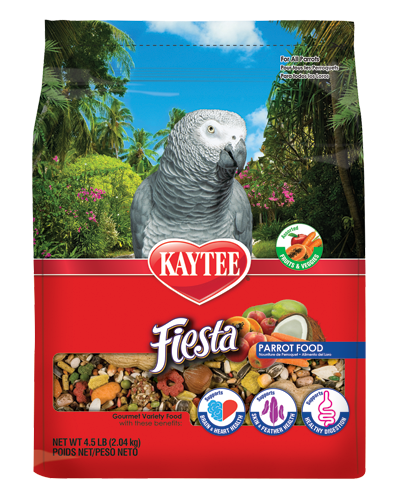 Kaytee Fiesta Parrot Food - 4.5 lb. 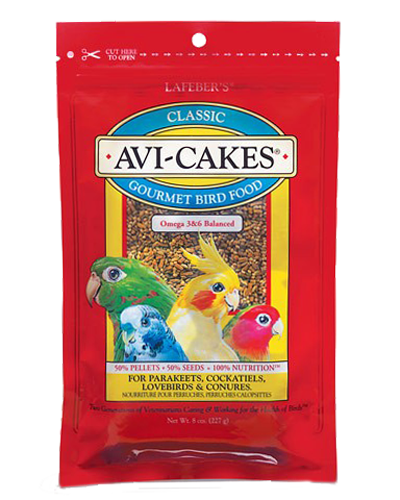 Lafeber's Classic Avi-cakes for Small Birds - 8 oz. 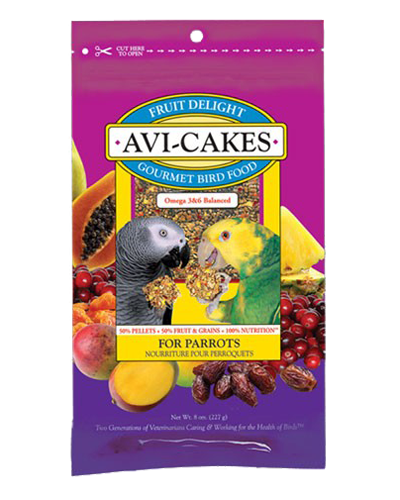 Lafeber's Fruit Delight Avi-Cakes for Large Birds - 8 oz. 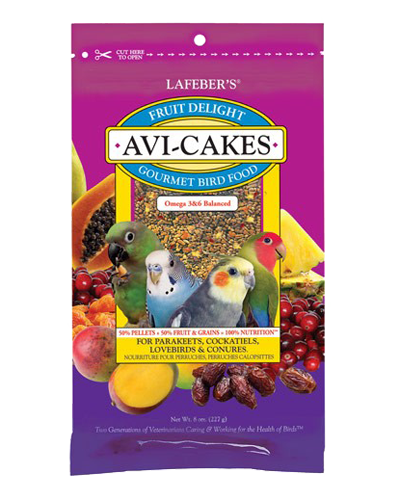 Lafeber's Fruit Delight Avi-Cakes for Small Birds - 8 oz. 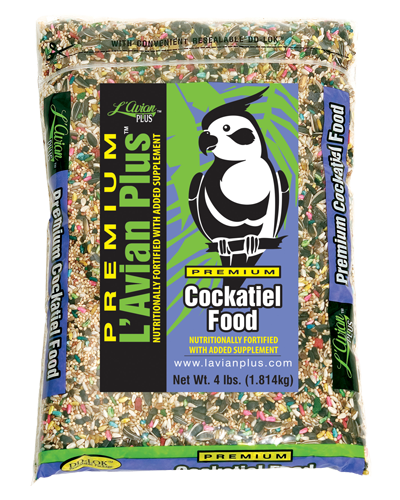 L'Avian Plus Cockatiel Formula - 4 lb. Pretty Bird Select for Large Birds - 20 lb. 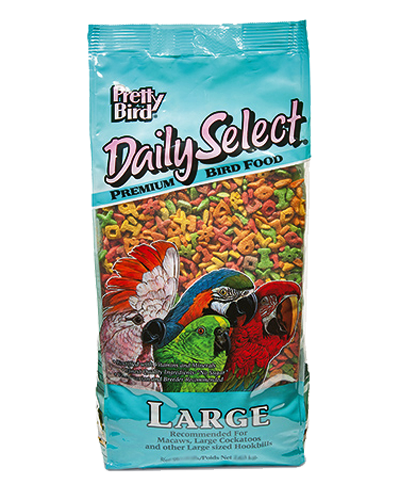 Pretty Bird Select for Large Birds - 3 lb. Pretty Bird Select for Large Birds - 8 lb. 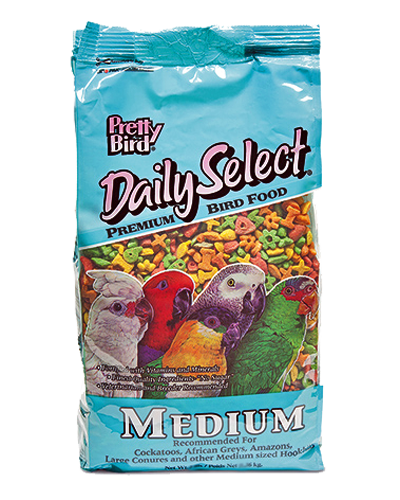 Pretty Bird Select for Medium Birds - 3 lb.